Claim: In 1979, snow fell in the Sahara desert. The claim is true. 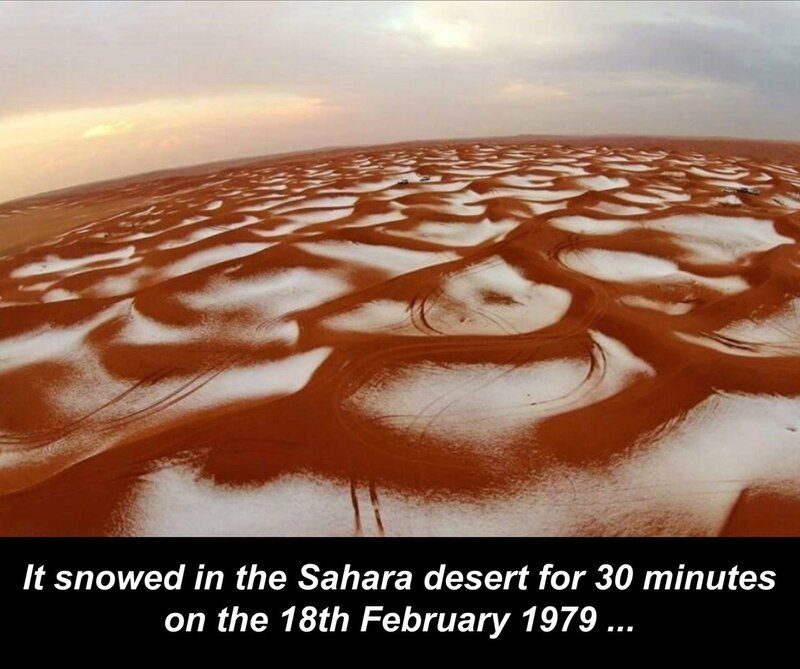 On February 18, 1979 was the first snow in Sahara. But this photo has nothing to do with Sahara. 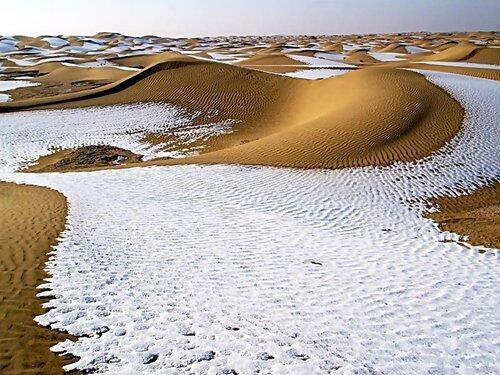 Photo: snow-covered Taklamakan desert in China. Source: CRI English. The image text is correct, but the photo is unrelated. It was taken in 2015 when it was snowing in Saudi Arabia. Majority of the snow hit a town near the city of Tabuk.